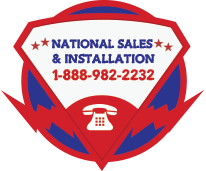 Please call us at 1-888-982-2232 for up-to-date pricing options. Poured in Place rubber is a durable, long-lasting surfacing choice. It requires little maintenance and is the perfect addition to your indoor or outdoor space. Poured rubber or poured-in-place (PIP) consists of two layers. A cushioning impact layer that consists of a low density rubber base is laid first and should cure overnight before topcoat is applied as the colored top wear layer. EPDM, TPV, or Rubber Crumb/SBR is mixed with a polyurethane binder and poured into place at the site. This surface requires one of the highest initial investments, and may surpass the cost of the equipment as a percentage of total budget. It must be installed by a trained professional crew. 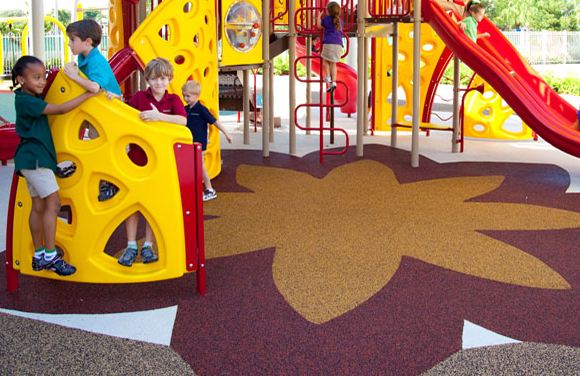 However, over the life of your playground, it will require lower maintenance, is not displaced during play, and is easy to clean, as litter will not mix into the product. PIP offers the greatest design options; colors can be mixed to produce varying hues, or laid side by side to create artistic patterns and graphic designs. Want to include your school or church's logo in the surface? Other games can be incorporated, such as hopscotch, four square, or learning activities such as maps and alphabet games can provide additional play value to the playground with poured rubber surfacing. PIP is to be installed over asphalt, concrete, or compacted stone sub-base. Prices will generally increase as thickness increases and as color levels increase. Thickness can be modified to meet varying critical fall heights within the playground.